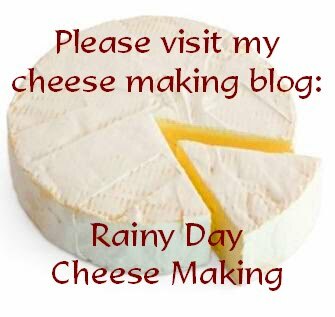 My post title sounds familiar...I'm sure I've written about pumpkins and pizza before in the same post! We haven't had pizza in a few weeks so we thought we'd really test our digestion. It's all REAL food on these pizzas. No more grocery store "cheese" for us! The first pizza was a Margarita with fresh Mozzarella, olives and basil. 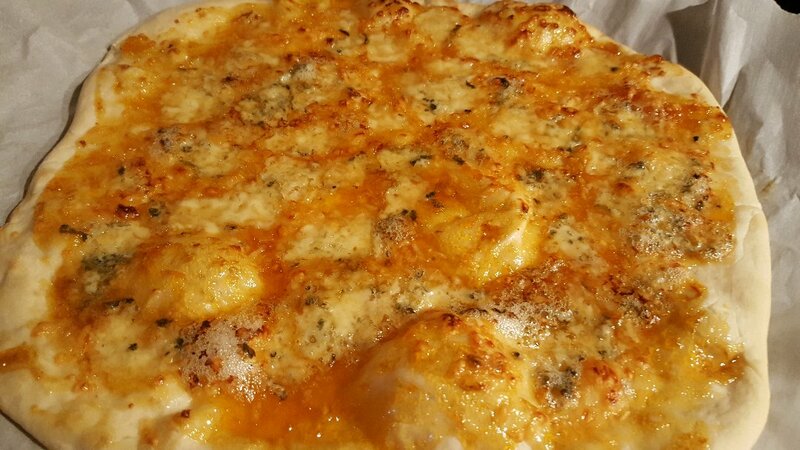 I'll admit I overdid it on the cheese. Next time I'll use a lot less, it doesn't need as much as the fake cheese for flavour and texture that's for sure! The second was simply apricot jam with some Blue cheese and Parm. Deee-licious! And we digested just fine. Phewf! 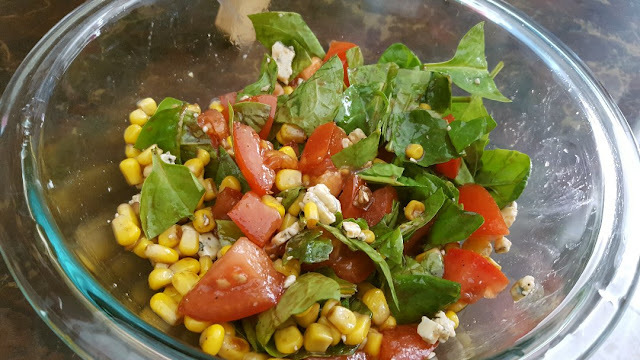 Alex made a little side salad of spinach, tomatoes and corn with some of the Blue cheese, Balsamic and oil. I have to go shopping today, our fridge is nearly bare again! Shopping day is much different this time around. There will be no processed foods whatsoever in my cart. It'll be a financial challenge I think. And I may have to go back to bi-weekly shopping for a while since most of the food will be fresh with no preservatives. Sigh...I loved that monthly shopping trip, it made life so much easier, but health beats convenience any day. ...and just to be safe, poly tarp for colder days and nights. I put the same tarp over tomato and pea land and they are doing so well. I just have one of the nineteen tomato plants that is wilting a bit, but everything has transplanted nicely! Now the only thing left for the pumpkin patch is my symbolic scare crow! 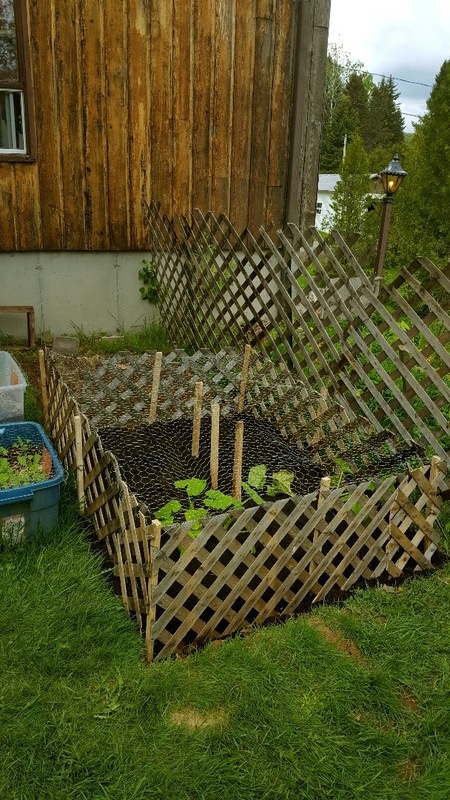 :) I used up the last of the free lattice boards that the lumber yard gave away last year, I had just enough thankfully. I still need to build a few little fences, but I'll have to see what we have in our own lumber pile for that. Question: Should the poly tarp come all the way to the ground? I tried to plant more seeds directly into my pots yesterday, but the swarming biting black flies defeated me. I couldn't take it anymore, even though I wore a head net and proper clothes. I think I have a dozen bites on me, grrr...I finally gave in and put on some DEET spray (I know, it's highly toxic...but the only thing that works). They stopped biting, but swarmed incessantly...so grosse! Nothing like being batted endlessly by icky swarming bugs...But the rain started so it wasn't meant to be anyway. The next sunny day, I'll be planting more seeds, I have a lot of veggies left to seed plus all of my flowers too. I think that this weather is challenging for any gardener. I'm finding that the challenge is making me more creative and do more research, so I think it's the perfect weather for my first attempt at having a full garden. rain, your garden is very exciting! i can't wait to see how it grows. we put in the last things we had to plant last evening and now the waiting begins! i haven't made pizza in ages. i'll have to do that soon. What a wonderful attitude you have, m'dear! Sounds as though your weather is exactly like ours, temps and all. 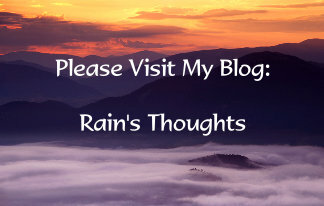 Drippiness here this morning but in a bit I'm going to go out and see if I can still get some things done. Yes, taking your plastic covering all the way to the ground would give more protection for those night time temps and thereby not cause as much stress to the heat-loving plants. I wonder if the "plastic" is the type that still lets the good sun's rays through? Wouldn't want to block out those. Your transplanted pumpkin plants look great! It keeps raining here. I am getting depressed already. I live for cloudy days but I don't think we have had more than one day of sun in a very very long time. I need my garden to grow!! Everything that is sun loving is going to wither away and die! Do you believe in the Great Pumpkin like Linus? Hi Dianna! :) Yes, the birds are pesky, the grackles kept eyeing the patch when I was seeding lol...or was that my imagination? I'm so into this new garden that I don't want to take any chances, so everything is protected and covered. But you know, the wascally wabbits...we have so many here too! Gosh we could use some sunny days too. It's 14 and 60% chance of rain ALL WEEK here...Bloody well is right. Debra, OF COURSE, I believe in the Great Pumpkin. Who doesn't? I've been a good little girl this year, so I know he'll fly down to my pumpkin patch and bring me lots of toys :) And Linus was the most intelligent of the gang wasn't he? Those pumpkins will soon try to leave their confines and travel across your yard. Mine would put down roots below the area where the leave joins the vine. If not for frost, who knows where a pumpkin might go. Your porch looks so cosy by candlelight :D I love the frames around your plants. I may have to do that when we move as I've been told there are a lot of deer in the forest behind our house. It will also stop the dogs and cats from using the raised beds as soft little toilets!!! I am sure that your pumpkin will grow marvelously as your hard work is undefeatable. Bugs biting is irritating specially when you tend do something passionately. Pizza sounds and looks yummy! 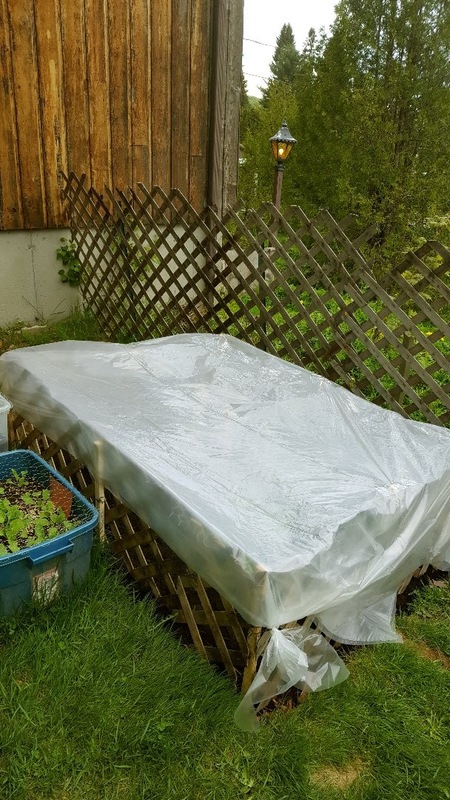 If your night time temps are reliably in the upper 40's or higher (fahrenheit of course, hm, 46F is 7.7C) you may not need the cover, though the plants will grow faster if kept warmer. My only concern is how hot its going to get under there when the sun's out. Its going to get really hot really quickly in direct sun, in which case that air movement space will be needed to keep your plants from cooking to death, and you may even want to take the plastic off during the day. What variety of pumpkins are you growing? Hi Gill :) I didn't know that about the pumpkins! I'll have to keep an eye on the traveling! Hi Yarrow :) We have lots of birds that are curious about the seeds...and we have small critters too. For my first garden I'd be devastated if I woke up one morning to find them all chewed up! The deer around here stick mostly to the woods, but they have feasted on people's crops in the community garden, which is a little close, just a block away so I'm not taking any chances! Thank you Baili! :) I hope you're feeling better each day, no pizza for you yet!! :) I have a very good feeling about the garden this year! I just wish for some more sun soon! Hi Ruth :) The pumpkins are called Aspen Hybrids. "A Howden type for shorter seasons" says the package. So far the sun hasn't been an issue, sadly...it's been pouring rain since I planted them. But I do plan to take the plastic off every morning and then before bed, put it back on if there is a downpour in the forecast or colder weather. Right now it's raining and 12 degrees (53F), in mid afternoon sigh! I don't leave the house much, so I have the opportunity to dote on the garden a lot. I hope it all works out! You've been busy! Have you tried horticultural fleece as a protection? It's very light and easy to manage but gives some warmth and keeps the crops from being eaten by other than you - although some varmints will chew through anything! Your little pumpkin patch looks so nice. Our weathee sounds like yours...it just doesnt want to get warm. The forecast looks like it will get a little better ... hope the plastic works and it will neither get too cold nor too warm under there. Hi Nik :) Yes...you read that right!!! The original pizza recipe was fig jam with blue cheese and prosciutto. The mix of sweet and salty was awesome! But fig jam is a little pricey so we tried with apricot and it's a great substitute. I didn't have any prosciutto so I put Parm on for extra saltiness. It turned out really good! I hope the pumpkins fare well too. Right now the plastic is also guarding them from the rain that's pouring down. I know it'll get warmer...just have to wait it out! I will need to try that. 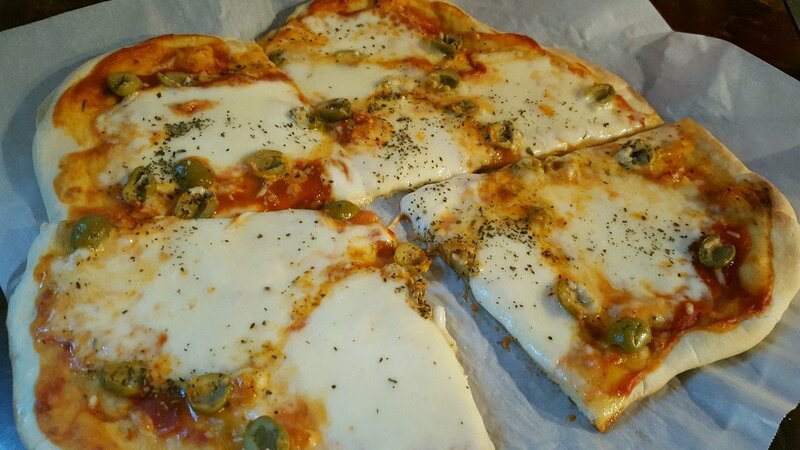 I had pizza with grapes ones and it was so good. I think you could probably get lots of info from the blog as I'm sure that's what she used for her book. Enjoy! Oh thank you Sam!!! Well, it's my first "seed" garden! I bought some plants last July but they were already established, so I didn't feel I did much except water and harvest. Everything was started from seed in my garden this year, except my current pot of chives that I had from last summer.